Buraka Som Sistema do it as well live — if not better — than in the studio. Taking the input of Angolan analog techno and modern Portuguese dance, and mixing it with the almost forgotten experimentation of kuduro, the Portuguese collective has created a ferocious new animal. This mixture is explored in-depth on its full-lengths From Buraka To The World and Black Diamond. Buraka’s installment in the FabricLive series showcases what it does live. Raging electro stabs and belching basslines race through this devastating mix. Skream’s “Fick” honks away as Zomby’s “Dynamite Sandwich” rubs and flutters its way to the declarations of Crime Mob’s “Rock Yo Hips” and the hiccups of DJ Malvado’s “Puto Mekie”. 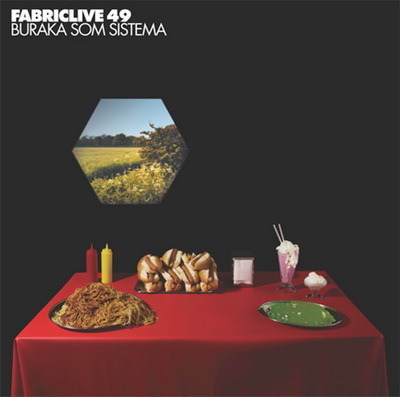 The best bits on FabricLive 49 are Buraka’s own compositions and remixes. These escalate the energy level to another place, crunching and smashing everything in their path. The mix moves rapidly, giving you only the choice parts of the selected cuts. This is done skillfully with tracks so appropriate, it propels you around the dance floor — the rapid shifts unfelt.